Almost three weeks into the trip and I have yet to see another woman traveling on her own. This trip is something of a test to see if I can embrace being alone. In the past, traveling, living day to day involved being connected usually by writing to a loved one, but now that loved one is gone. So far, I’m passing the “test.” Yet, each time I move locations, from Inish Mor to Glasgow and now to Mallaig, I doubt this trial will come up roses. Then 10 or 12 hours later my fears are not realized and all is well. 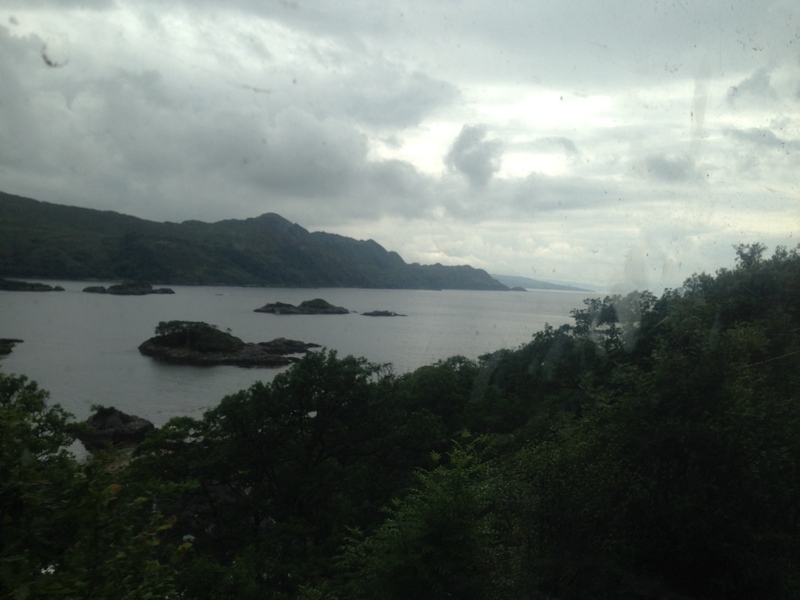 The train ride from Glasgow to Mallaig often described as a rail journey with spectacular vistas didn’t disappoint; instead, it surpassed my expectations. The start of the journey, however, proved to be stressful. I had been assigned the “F” Carriage, Seat “A17.” Unfortunately, the carriages were not marked on the outside. Inside, they were labeled A-D, no F. Back and forth I went, pulling my luggage through each carriage and sweating profusely as I searched for my reserved seat. Finally, I found a conductor who informed me that the cars marked “A” and “B” were the “F” carriage. I found my seat but it was occupied. I let the couple stay in place and moved to one across the aisle. For the next 5 hours, apart from exchanging pleasantries with Liz from Mallaig who sat opposite me, I mostly “oohed” and “aahed” at the stunning landscape outside my window: Loch Lomond so large it looked more like a sea than a lake, rolling green hills, and finally the sea lapping against beaches set against blue-green hills, a filter through which I would see Scotland. 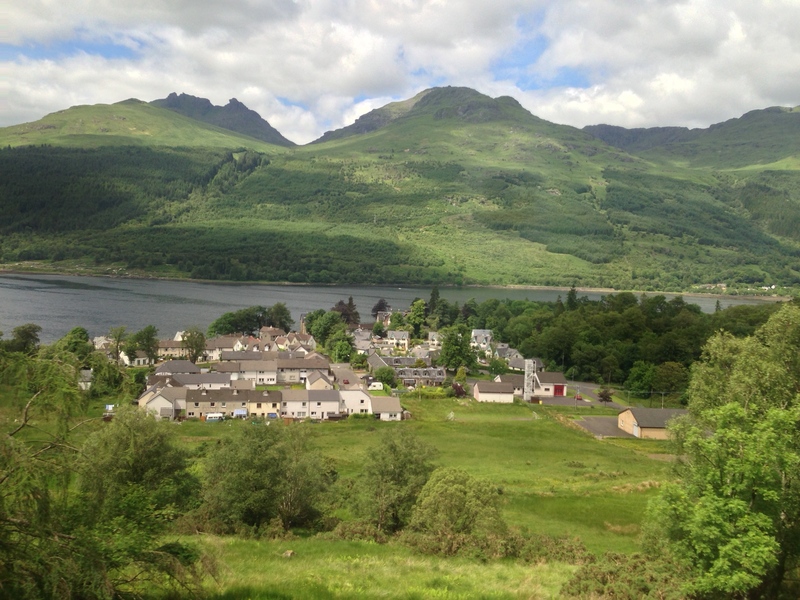 As the train pulled into Mallaig, Liz told me how to get to my hotel. 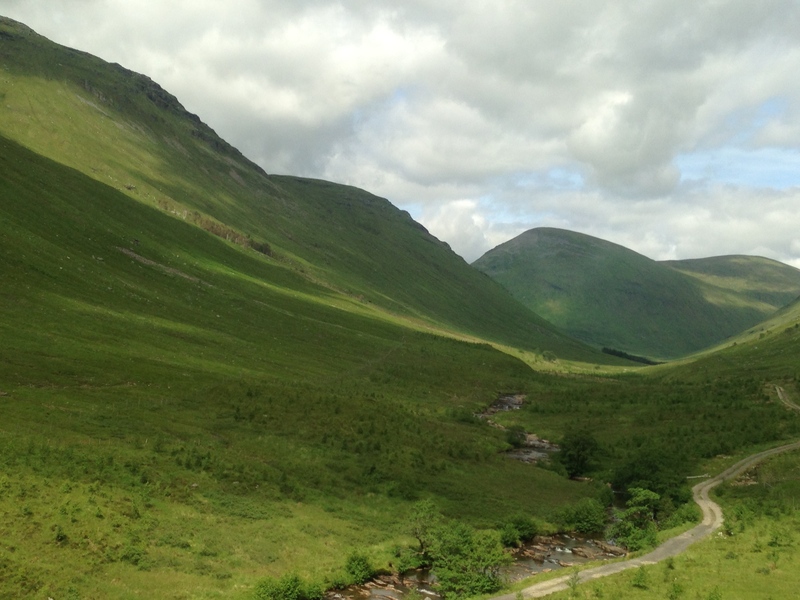 The train station swarmed with tourists, day-trippers who take the Jacobit, a steam train running between Fort William and Mallaig twice a day. Disappointed, I conveniently forgot, I am one as well. The next reaction was “I miss Inish Mor, it’s emptiness, big sky, and a sense of freedom that didn’t match this small enclosed fishing village. After settling into my room located above the owner’s pub, a walk about the town didn’t improve my outlook. 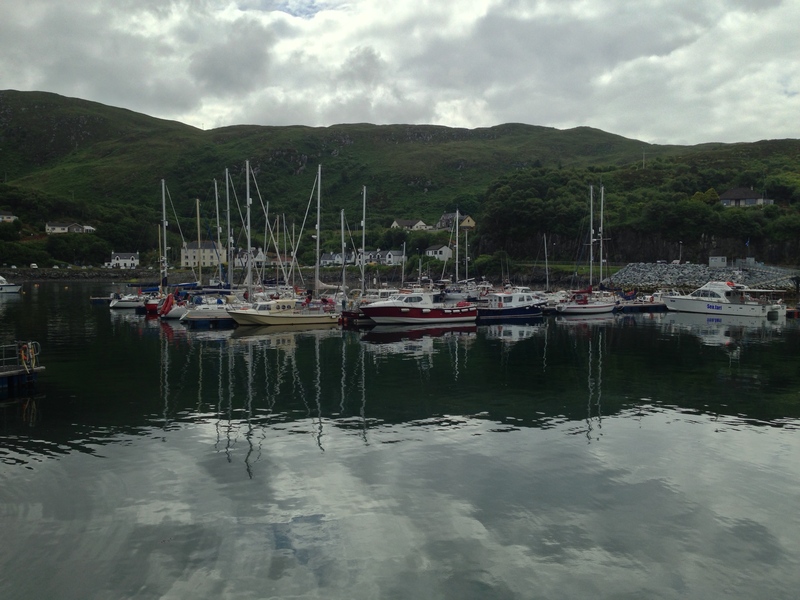 I made my way to the small harbor, claustrophobia as a companion. However, a cheerful talk with an older woman about her young border collie, Gilly, helped. “He is in training” the woman told me. “My husband died two years ago and so I must manage the croft on my own.” “All alone?” I asked. She shrugged her shoulders and said, “Well, people come from time to time, but its up to me.” She didn’t appear to be feeling sorry for herself, but rather, resigned to the situation. Does she have to wait those 10 or 12 hours for all to be well?